A substantial literature over the past thirty years has evaluated tradeoffs between money and fatality risks. These values in turn serve as estimates of the value of a statistical life. This article reviews more than 60 studies of mortality risk premiums from ten countries and approximately 40 studies that present estimates of injury risk premiums. This critical review examines a variety of econometric issues, the role of unionization in risk premiums, and the effects of age on the value of a statistical life. Our meta-analysis indicates an income elasticity of the value of a statistical life from about 0.5 to 0.6. 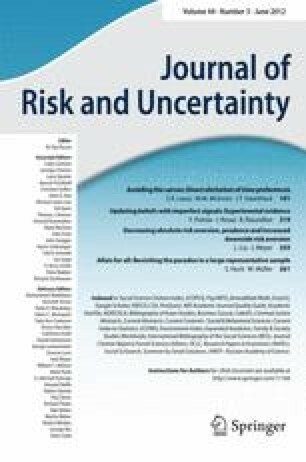 The paper also presents a detailed discussion of policy applications of these value of a statistical life estimates and related issues, including risk-risk analysis.